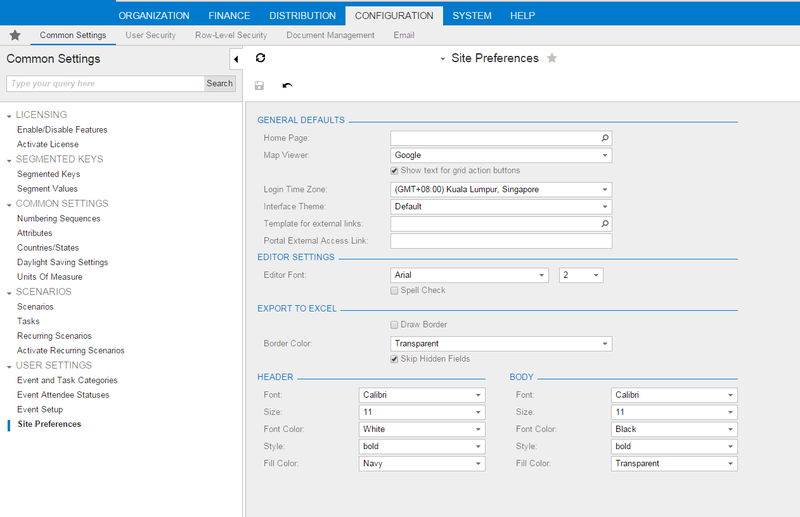 Acumatica Singapore: Login Page Customization. 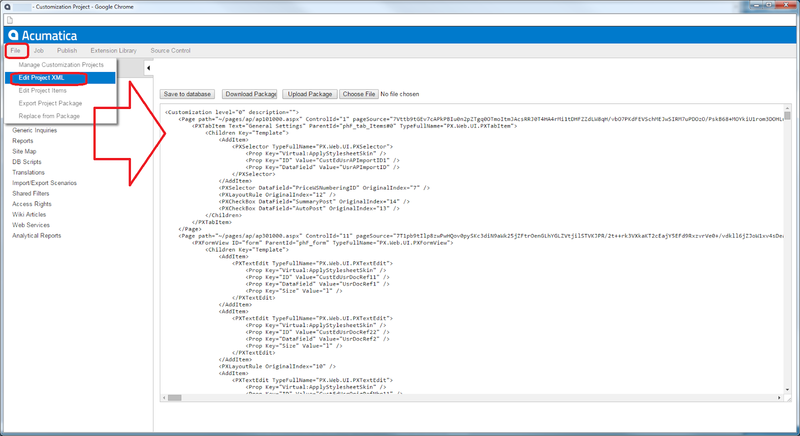 Some time ago, there was a post on how to change the login pictures if you have access to Acumatica web site folder. But nowadays we all go cloud, heh, so no more access to IIS folders directly. Well, so THIS POST is about How To Change the Login Pictures for your customer, without directly changing the files in the folder. We can accomplish it by using simple customization technique. 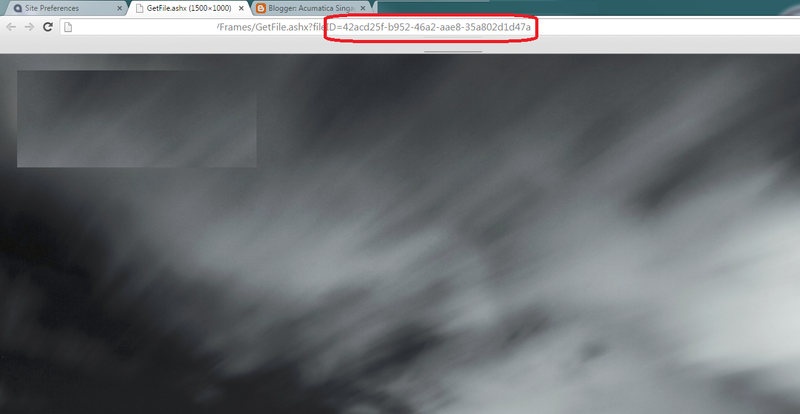 It proven on version 5.1 onwards, but should work on earlier as well. Let's make it very simple, sorry, experienced C# developers, I will go step by step, so everyone can follow. 1. 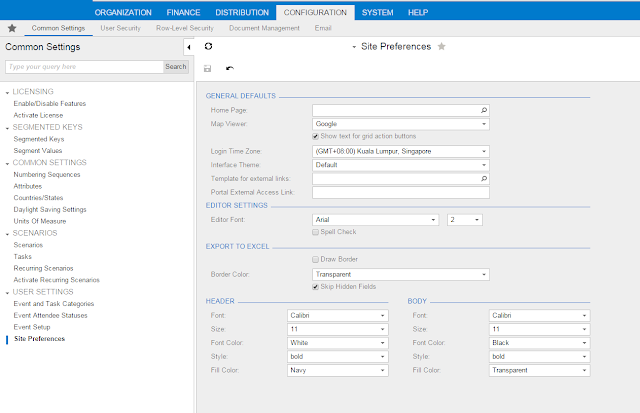 Make sure you can connect to Acumatica as a Customizer. 2. Place your picture files, resolution 1500 x 1000 pixels, in jpg format in a local folder on your working PC or laptop. There should be max 6 pictures. 5. Upload here all your 6 files. Just Press Files->Then drag and drop all the files into upload screen. 6. Close the Files upload screen. Refresh the Site Preference screen. Click on FILES menu again. Now let's see all those files one by one in the browser. We need it to get ReferenceID for each file. Just click on each file link, it will open you a tab in the browser. Please note the number you need to record is highlighted. Please pull all 6 numbers for all 6 files into your notepad for future reference. Please note last part is the reference from out Notepad. 9. Press button Save to database. Screen will refresh and your records will be moved somewhere down to the file body, you can find them by scrolling down, no worries, they are NOT gone. Ignore it :). Press Publish. What if I want to customize other aspects of the login page such as adding functionality or more screens to it? Can this be done, and if so, how? Hi, you should look at the code of it, it resides at IIS server.